Every year Santa Cruz de Tenerife, capital of the Canary Islands, Spain, is inundated with a festive environment and with a shared happiness of all Canarians and tourists! A lot of people arrive to enjoy the parades with thousands of people in diverse costumes and more than a hundred groups of musicians performing carnival songs. The second most popular carnival after the one in Rio de Janeiro, carries out several activities being undoubtedly the Gala of the Queen the most expected one. 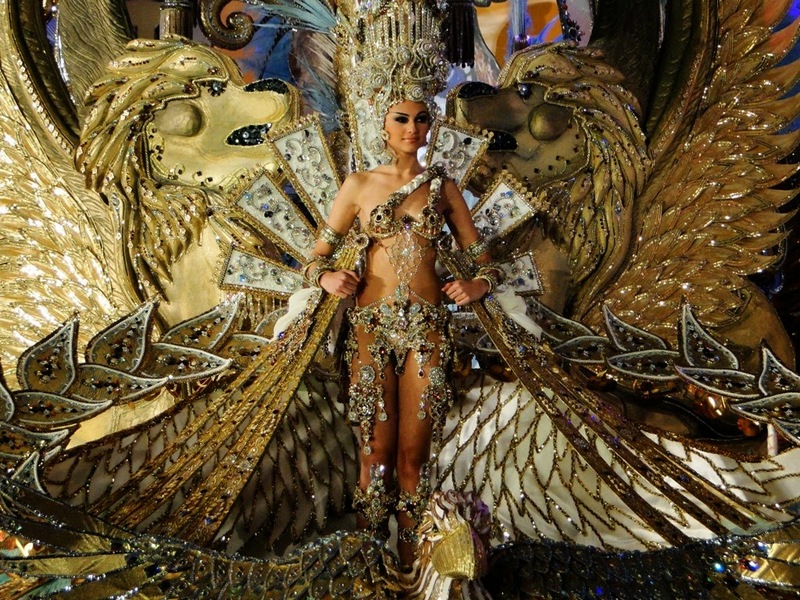 During the Gala, candidates to Queen of the Carnival parade across the stage with astonishing dresses. This year, nearly 7,000 guests enjoyed this show enveloped by light and images projections and inspired in the year 2060. The carnival treated future problems such as scarcity of natural resources and environmental crisis. Among the 14 Canarian candidates, pretty Adtexemi Cruz Hernández was elected Queen of the Carnival wearing a majestic and refined dress named “Golden”, by the designer Jorge González. The dress with black and golden tones on the basis of jeweled embroidery and feathers, surprised the jury and the whole audience. Needless to say that gold added a touch of class and relation to the futurist topic of the show. The current turbulent economic situation makes the vision for the future blurred and it is leading everyone to draw their attention to alternative assets to preserve their money rather than currencies. For that, gold is the most promising and reliable asset, and even though not everyone will ever have the opportunity to be a Queen of the Carnival, hundreds of thousands of people have found the best purchasing conditions to buy gold in Emgoldex online store. The clients create a gold reserve and earn a stable and high income. Share the most exciting news in your social nets for everybody to find well-being in their life!